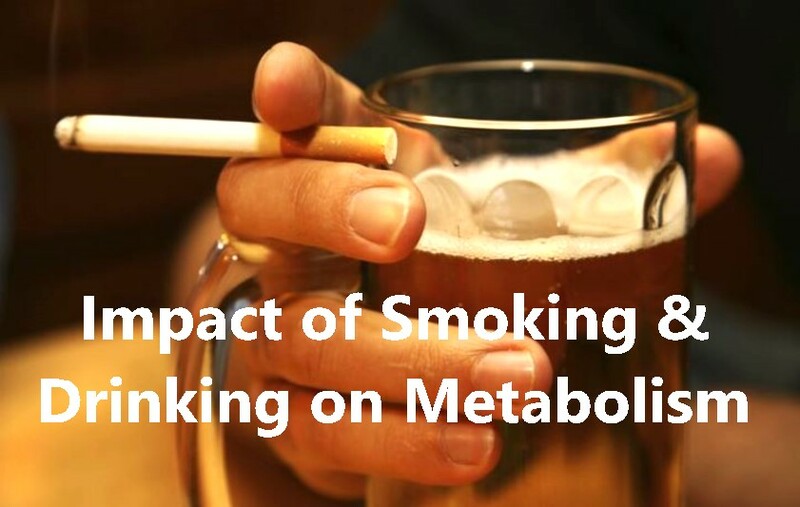 Impact of Smoking and Liquor on Metabolism : Why it Matters for Weight Loss? Both smoking tobacco and drinking alcohol are lifestyle habits. Infact, everyone knows that they are bad habits. However, when you are trying to lose weight both play an important role. Smoking burns calories, but alcohol prevents fat burning. Therefor, should you smoke more and stop drinking? Nope, you should stop both! Does quitting smoking slow down metabolism? What effect does quitting smoking have on metabolic rate? Before I answer that question, let me tackle the most popular myth about quitting smoking. Many say & believe that anyone who quits the cancer stick, will automatically put on weight. This is not universally true. And there are latest studies to confirm this. In a large study in the UK, which involved over one thousand women who quit smoking, no clear picture emerged. While some women gained weight, some remained the same and some women even lost weight. However, with regards to the women who gained weight in the range of 5 to 10 pounds over a number of months, the result was attributed to their metabolic changes (or the change in their metabolic rate). So how does smoking affect our body weight? It is a fact that smoking helps in burning calories – up to 200 calories a day if you are a heavy smoker. This means that smoking can increase the metabolic rate or the rate at which energy is expended. Outsmarting the pounds can counteract the slight weight gain that may occur due to slowing of metabolic rate upon quitting smoking. How do you do that? Remember, if you are a heavy smoker, you are burning 200 calories per day. Walk briskly for 45 minutes or swim for 30 minutes every day. You could eliminate 200 calories from your daily calorie intake through intermittent fasting. Some of the common foods which we have every day which contains approximately 200 calories include 1 liter of beer (22 calories), 20 regular potato chips (220 calories), 4 chocolate sandwich cookies (213 calories), and 2 tablespoon butter (200 calories). One of the biggest benefits of quitting smoking is that body realizes the absence and the energy levels increase. You will, in fact, begin to feel better physically. The other way to counteract the effects of slowing of metabolic rate is to indulge in regular moderate physical exercise, which can keep weight gain to a minimum and boost your metabolic rate. Exercises increases metabolism, helps you burn more calories, and reduces tension and stress. Moreover, the endorphins released in the brain during exercise make you feel more energetic and better. According to New York Times: Smokers fear the gaining of weight after quitting, but studies have shown that the opposite occurs, with them losing weight after quitting. In summary, cigarette smoking raises the metabolic rate by about 20 percent according to some experts. People who quit smoking but continue to eat the same number of calories, gain weight. Knowing this, ex-smokers can ward off the expected weight gain by making some lifestyle changes. How does alcohol affect metabolism? Most people are aware about the general effect of alcohol on your body. We know that alcohol can produce bad effects on your heart, lungs, liver, brain and memory. Alcohol affects the metabolism of the body as well, and this effect leads to other complications later in your life. Metabolism is the collective term for all the chemical reactions occurring in a living thing. 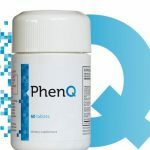 The major components of our diet are reduced to micro components to yield energy; using this energy, the cells will produce some necessary components for the structuring and functioning of the cell. There are different types of metabolism occurring inside the body. Carbohydrate metabolism, lipid or fat metabolism, and protein metabolism are some of them. When you drink alcohol, it will interfere with some of these metabolisms, producing harmful effects on your health. Alcohol mainly affects the fat metabolism of the body. Alcohol has an inhibitive effect on the amount of fat that your body can use up for energy production. American journal of clinical research has conducted a study and found that alcoholic consumption of merely 24 gm will reduce your body’s lipid oxidation or the ability to burn fat by almost 73%. It has been found that acetate, which is formed in the liver when the alcohol passes through it, is the culprit in reducing the fat metabolism. Instead of fat, the body will start using the acetate as fuel for the body functions. Alcohol interferes with vitamin and mineral absorption. 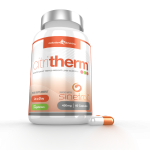 Vitamins and minerals are necessary for the proper functioning of the metabolism. When you consume alcohol, your liver will be busy in converting the alcohol to acetate, and the absorption of vitamins and minerals are taken over by the detoxification of the alcohol. Another effect of alcohol is that it causes excess excretion of magnesium and calcium through urine, which are much needed for the proper functioning of the body. Another drawback of alcohol consumption is that the alcohol will compete with food to get absorbed into the bloodstream, thus preventing the absorption and processing of the nutrients for the metabolic activity. If your body does not get enough nutrients, this will lead to some disorders. The strength of the muscles will be lost, and muscle building cannot be done effectively. You start to gain excess weight and body fat, as the body will be burning alcohol and not fat or carbohydrates. Excessive drinking will affect the hormone production. Testosterone production gets suppressed and increased estrogen production occurs. 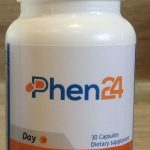 As the absorption of vitamins and minerals becomes less effective, your body’s immune system weakens, diseases may attack you, and the aging process becomes more rapid. If you are a sports person, then alcohol consumption is detrimental for you. Your performance will be affected and building muscles will be a real problem. Alcohol interacts with fat metabolism and vitamin and mineral metabolism; therefore, consumption of alcohol should be avoided. Otherwise, it will lead to obesity, diabetes, high blood pressure, liver damages, and other health problems.